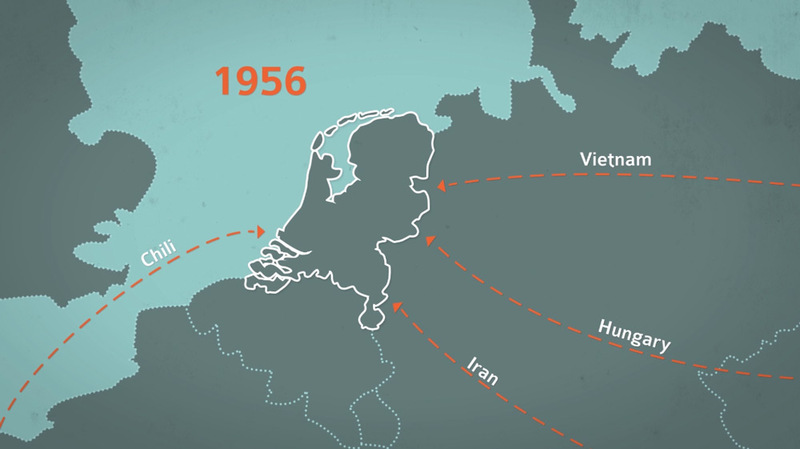 Together with Emiel Elgersma I worked on this informative animation for Vluchtelingenwerk Nederland (Dutch Council for Refugees). The animation shows the resettlement process of the invited refugees from their country to The Netherlands. Emiel wrote the script for the film and produced all the videos from video material delivered by parties involved. I made all the graphics and the animation. 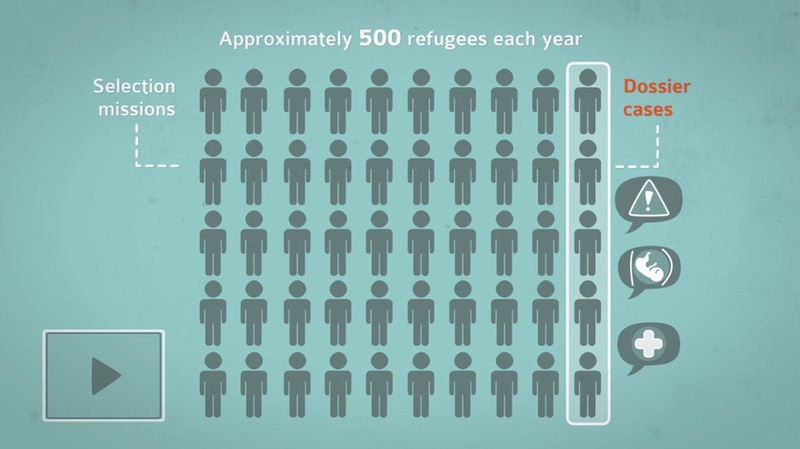 This animation was made for the UNHCR conference about Annual Tripartite Consultations on Resettlement. The target audience were international professionals in this line of work.